Fruitcake Week is winding down over at Cookbook Of The Day and we just can't seem to stop! 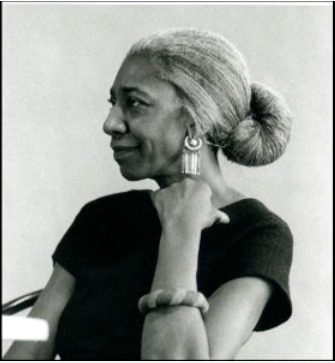 This recipe is from the late great Edna Lewis. It appeared in Vogue, so there is no cookbook. Fortunately here at Lucindaville, our only criteria for post is to post what we like. This recipe reminded Lewis of her mother and sister and the way the house smelled as the cakes baked. That is the reason to bake. Here is her recipe, bake it with someone you love. 1. in a large bowl, stir together the orange peel, lemon peel, citron, currants, and raisins. Add wine and brandy and combine the mixture well. Let the fruit macerate, covered, for at least several hours or overnight. 2. Butter a 10 X 4-inch tube pan (or 2 loaf pans, each 9-by-5-by-3-inches) and line it with parchment paper. Butter the parchment paper well. powder and salt and sift again. 4. In a large mixing bowl of an electric mixer, cream the butter with the brown sugar until light and fluffy. Add the yolks, beaten lightly, and beat the mixture well. Add the flour, a little at a time, beating well after each addition. Add the sorghum and beat the mixture well. Stir in the fruit mixture with the liquid and combine well. into the prepared pan and let stand , covered loosely with a kitchen towel, in a cool place overnight to let the flavors mellow. 6. Preheat the oven to 250 degrees. 7. Bake the fruitcake on the middle rack of the oven for 1 hour and 30 minutes. Remove and cover it with a piece of brown paper (do not use foil) and bake it for an additional 2 to 2 ½ hours.